Jo Boaden, Chief Executive of the Northern Housing Consortium (NHC) and Chair of Your Homes Newcastle, has been awarded a CBE in Her Majesty the Queen’s New Years’ Honours 2018. The award was made in recognition of services to housing providers in the North during a long career in housing. Jo became Chief Executive of the NHC in 2010, following a number of senior roles across the North, and recently took up the position of Chair of Your Homes Newcastle. In September the Homes and Communities Agency published a consultation on a revised Value for Money (VfM) Standard. The consultation proposed to revise the VfM Standard and publish a new associated Code of Practice to help registered providers understand how compliance with the new Standard might be achieved. The proposed Standard aims to move the focus of the regulatory approach away from the primarily narrative self-assessment to more outcome-based reporting from registered providers on targets, including a suite of metrics to be defined, from time to time, by the regulator. In response to the consultation, and in order to gather the views of its members, the NHC arranged and facilitated three meetings around the North East, North West and Yorkshire and Humber regions. The key points in discussions held at those meetings have informed a response to the consultation. We look forward to the publication of the final standard. The NHC will reconvene groups of members following the issue of the standard to discuss implementation, timescales and any other regulatory issues. The NHC response to the consultation which includes member’s views of how the VfM Standard and the associated Code of Practice are developed and implemented can be accessed here. The 2017 Autumn Statement announced that the Universal Credit live service will cease to take new claims from 1st January 2018. This is part of the transition to a full digital service and continues the Government’s focus on work, independence and reducing reliance on welfare. The Department for Work and Pensions has published a bulletin filled with important information for claimants and local authorities. You can read it in full below or download it here. The 2017 Autumn Statement announced that Universal Credit live service will cease to take new claims from 1 January 2018. This change supports the smooth transition to a full digital service and continues the focus on work, independence and reducing reliance on welfare. It is not value for taxpayers’ money to continue to invest in a system that is due to be closed and replaced by the Universal Credit full service. where a claimant has been working and their earnings have exceeded the maximum amount, their entitlement will be reduced to nil due to their earnings. Their claim will stay open for up to 6 months within the six month re-award period. Child Tax Credits and/or Working Tax Credits with HM Revenue & Customs. a copy of the termination notification that the claimant receives. Where a claimant terminates their Universal Credit live service claim by choice they will be able to make a new claim to HB straight away. Claimants in full service areas will not be allowed to terminate their claim and make a claim for HB. There will be no backdating of the UC claim. If the claimant makes a claim from 1 January 2018 but needs to have their claim looked at from an earlier date then this will have to be requested from the LA as part of the HB claim. LAs will be able to recover any HB overpayments from the new HB claim. These will not be referred through the Payment Deduction Project system and will revert to business as usual processes. Universal Credit full service will continue to accept new claims and is not impacted by the change. The Universal Credit Live Service L&D pack is being updated and will be available via Glasscubes and DWP Partnership Managers from 15 December 2017. All LAs within Universal Credit live service areas will need to open their gateway to HB claims and ensure that their websites and leaflets, etc., are up to date and available as from 1 January 2018 to allow HB claims to be made. All staff will need to be aware of the change to avoid signposting the claimant back to Universal Credit. We will be communicating information regarding new burdens funding to LAs once the live service closure changes have been finalised and we have made the necessary evaluation. Provided below is some questions and answers (Q&A) to support all staff to respond to queries from claimants regarding the closure of Universal Credit live service claimant new claims gateway from 1 January 2018. Q1. Why is Universal Credit closing the live service gateway for new claims? A1. By the time Universal Credit is fully rolled out, Universal Credit full service will have replaced Universal Credit live service in every Jobcentre/local authority area. 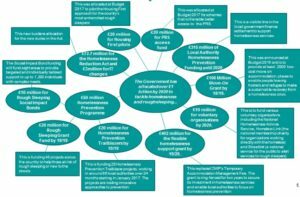 It would not represent value for money for taxpayers to continue to invest in a system that is due to be closed and replaced by Universal Credit full service. This will not affect anyone already in receipt of Universal Credit in a live service postcode area. Q2. Does this change apply to all Universal Credit claims? Q3. I have been onto the GOV.UK website and it says I cannot claim Universal Credit in my area, why is this? Claimants already in receipt of Universal Credit will remain on Universal Credit providing other circumstances relating to their claim are unchanged. Claimants will remain on Universal Credit live service if they are within the 6 month re-award period on Universal Credit live service. In these circumstances claimants will be able to report a change of circumstances which may result in entitlement to a revised Universal Credit live service award. Q4. I have just separated from my partner can I continue to claim Universal Credit? A4. When you report your separation from your partner your joint claim will end. However, you will both remain on Universal Credit (if still appropriate). Q5. I think I should be entitled to Universal Credit from a date prior to 1 January 2018 and want to ask for my claim to be backdated. Q6. If I want to claim Universal Credit how can I appeal your decision? A6. You cannot appeal against the decision not to accept a new Universal Credit claim in a live service area as from 1 January 2018. This is because of changes in the law for Universal Credit as a result of government policy. In November 2017, the Northern Housing Consortium (NHC) welcomed more than 100 delegates to our 7th Annual National Tenant Panels Conference Focusing on the voice of our customers — Innovation, efficiency and effectiveness in partnership with Yvonne Davies at Tenant Advisor. The event was chaired by Tom Miskell, Chair of the NHC and Pendleton Together. Among lots of discussion and debate we heard speakers discussing a range of themes including: scrutiny, health and safety, tenant voice, digital engagement, strategy and youth aspiration. How can you help your landlord to make tenants feel safe(r)? How can you support your landlord to communicate expectations of tenants on safety? What information do you need from your landlord about safety in your home/estate/neighbourhood? What are your top tips on sharing your concerns, ideas and solutions with your landlord? Various themes emerged from this session. Delegates discussed taking more of a strategic approach to tenant engagement by having closer links with Fire and Safety Officers and being involved in risk assessments. There was a focus on observation, including knowing how to report hazards and providing training for resident representatives. Delegates suggested landlords provide communication in formats which are easier to digest, utilising digital channels and participating in more campaigns such as gas safety. Concerns were raised about hoarding and how to identify and help people involved. There was also a real focus on tailoring actions around where people live and the issues present in their community. The event closed with a session titled Health and Safety Matters — Supporting Tenant Assurance where speakers from Liverpool Mutual Homes, Northwards and the Centre for Public Scrutiny shared their experiences and answered questions from the floor. For further information on what was discussed in the interactive sessions you can see the notes on the Tenant Advisor website. As 2017 draws to a close, I am sure we can all agree this has been a very turbulent year for the housing sector; a year with many positives including more recognition of the importance of housing, but with the awful tragedy of Grenfell never far from our thoughts. We saw the Government focus on housing in last month’s Budget, including high profile measures designed to help fix the broken housing market and to stimulate the building of more homes across England. The NHC shares the Government’s ambition to create a housing market that works for everyone. To help achieve this, during the year we have made progress on the recommendations made by last year’s Report of the Commission for Housing in the North. We want to make a real and lasting difference and our evidence underlines the importance of improving the quality of existing homes and places, alongside the need for new supply in place-based strategies. The Commission report continues to guide our work and crucially, regeneration is back on the agenda. We will now be working on how we gain traction for regeneration within a framework that suits the needs and resources for the North in the current environment. We want to raise the profile and importance of regeneration activity in a positive way – too often the term is used as a shorthand for unsuccessful market intervention. We have found this picture does not reflect the reality of what is happening on the ground in the North. We need to reclaim the term ‘regeneration’ to reflect the positive impact it can have on people and places across our regions. We know that when done well, in the right places and with the engagement of the local community, housing-led regeneration delivers substantial benefits. It increases the scope for new development on brownfield land and widens housing choices and economic opportunity. In the next year, we will be talking to politicians, decision makers at local and regional level and other key influencers to take forward this message. I am looking forward to building on this work in 2018 and working to ensure we can be in the best place to support you, our members, in achieving your aspirations. The Consortium exists solely for its members and, whatever the year ahead holds in store, we will be working hard to support you in every way. In the coming year we hope to provide more opportunities to support you with innovative products and services, to remain a valuable asset to the housing sector and for a strong Northern voice to be heard by politicians and other key stakeholders. On behalf of everyone at the NHC I wish you a very Happy Christmas and best wishes for 2018. We welcomed close to 70 delegates to Leeds for Tackling and Preventing Homelessness: The Role of the Housing Sector, delivered in partnership with Locata. With a mix of local authorities and housing providers in attendance and a great range of speakers, this event proved to be informative and insightful with lots of debate and discussion. We opened with a welcome from Chair, Mike Wright, Strategic Lead for Homelessness at Greater Manchester Combined Authority (GMCA) who set the scene. He was followed by Anna Whalen from the DCLG on the Homelessness Reduction Act (HRACT). From her session it was clear that the HRACT (due to be implemented in April 2018) is a big game changer. Highlighting the importance of sharing innovation, she said the DCLG want an open dialogue with the sector. Key themes emerged including a greater emphasis on early intervention and prevention, partnership working, rapid intervention to ensure that a homelessness crisis is brief and doesn’t occur again and support for more people to get out of homelessness and into permanent accommodation. “We need to move from being investigators to facilitators” she said. 50 out of 87 LA visits across England were given no support. Gatekeeping at 29 visits prevented mystery shoppers from having an interview with a Housing Advisor. Interviews with Housing Advisors for non-priority need mystery shoppers were often brief – and characterised by a lack of privacy and empathy. The opportunity to make a homelessness application was mentioned in just eight visits, and in only three were people notified about the outcome of their application. He touched on some outstanding problems around people with complex needs, issues within the code and training and support requirements for LA’s. The session also looked at how non-LA agencies will take forward their ‘duty to refer’. To finish Chris highlighted the learnings from the Liverpool City Region Housing First Feasibility study. We were delighted to hear from our chair, Mike Wright, who talked about the impact the HRACT will have on the sector and in particular, the impact to the North. He also took us through the approach Manchester (GMCA) has taken and provided insight into how LA’s can start preparing. Delegates were advised to look at their lettings and allocations policies separately. “The first year will be very much a learning curve” Mike suggested “we will not get it right first time.” He emphasised the need to start mapping and profiling demand and to start understanding housing markets. From a Northern perspective he suggested we need to be dealing with demand issues, asylum placements and more detailed interventions — an increased burden for some. Another key point was around the importance of the relationship between LAs and Registered Providers (RPs) suggesting we need to work with RP’s for the Housing First approach and the ‘duty to refer’. He finished by emphasising the need to embed homelessness prevention across all teams and partners. This was a nice introduction into our professional practice sessions which followed the morning break. Our Professional Practice Sessions are an opportunity for delegates to hear from other colleagues about best practice and challenges facing the sector. Delegates could choose between youth homelessness and the Accommodation Intensive Mentoring Support (AIMS) project, which shared the positive outcomes to date in tenancy sustainment and employment. We also heard from our supporter – Locata, jointly with Derbyshire Dales DC who shared their experience of implementing the new system and how this has worked for them and their residents. Finally, Threshold, part of New Charter Housing Group talked through their Housing First initiatives. The Housing First approach is based on the principles of housing as a right not a privilege, and to provide a stable, independent home and intensive personalised support to individuals. The Professional Practice Sessions after lunch included Newcastle City Council’s approach to Housing First and the partnership approach between Thirteen Housing Group and Middlesbrough City Council in tackling and preventing homelessness. Gateshead Council also shared their approach to Health and Needs Assessment and the impact of homelessness. In a people focussed session, Fay Selvan, Chief Executive at the Big Life Group suggested “we’re having the same conversations over and over again, we know what the issues are but we’re not doing enough to address these”. 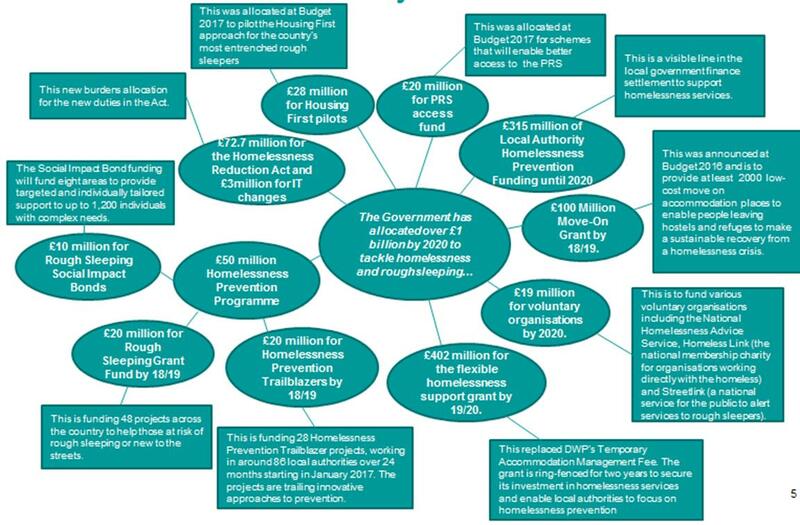 “What choices are we making around our homelessness population” she asked, “design your scheme at the coal face”. She went on to provide an insight into The Harvey Project, providing 24-hour harm reduction supported accommodation to drug and alcohol users based in North Liverpool. "We can't dictate when people are ready to change their lives"
youth homelessness advisers – free resource to support and advise local authorities on developing local ‘pathways’ for young people. Fair Chance Fund – Social Impact Bond pilot focussing on young people most at risk of long term poor life outcomes. National Youth Reference Group – young people with lived experience of homelessness as the experts. To close the day we heard from Ward Hadaway’s John Murray who provided a legal update summarising the changes with the new HRACT and emphasising the further duties to intervene at earlier stages to prevent homelessness. John also provided an overview of the latest homelessness decisions and Appeal Court reviews of allocation schemes. Following the conference the NHC responded to the consultation on the Homelessness Code of Guidance. You can see our response here. Insightful day at the @nhc #NHCHomelessConf on the housing industry's role in tackling and preventing homelessness. Spotlight on implications of the Homelessness Reduction Act & some innovative case studies with effective results to learn from. In terms of next steps the NHC are organising a member roundtable alongside Crisis – Improving Access to Social Housing for Single Homeless People, looking at single homeless people and the role of the sector in addressing a lack of access to social housing. We are also looking to run a homelessness working group which will bring members together to share learning, experiences and best practice and different approaches. Look out for another Homelessness conference next year too. A report released today warns of the difficulties social landlords are still facing from the roll-out of Universal Credit (UC). 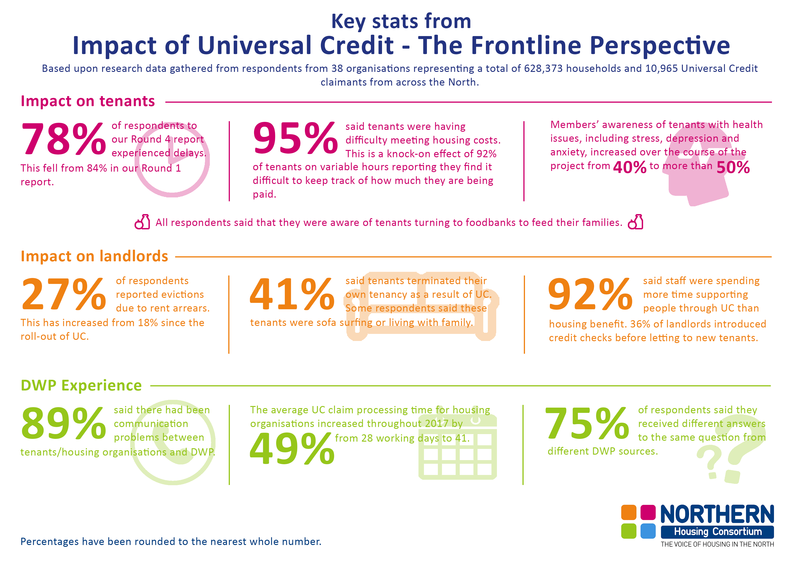 In light of recent changes to UC in the Autumn Budget, the Northern Housing Consortium (NHC) today launched its report, Impact of Universal Credit – The Frontline Perspective, which summarises the results of a year-long study of UC, highlighting the experiences of 85 of its member organisations and their tenants across the North. 95% of participants reported that their tenants were having difficulty in meeting housing costs. The NHC welcomed the extension of Housing Benefit announced recently which will have a significant positive impact on the level of arrears. There is a significant impact on landlords, with 92% reporting their staff were spending more time supporting people through the UC process than the Housing Benefit process. One participant reported an increase of 90% in calls from customers. Communication problems between participants (and their tenants) and the Department for Work and Pensions (DWP) – 89% of responding members experienced this. Of particular concern was the impact UC is having on tenants. Reported evictions due to rent arrears in UC cases increased from 18% to 27% during the roll-out and by the end of the study all respondents reported they were aware of food bank use – something that a number of other studies have found. More than half of the participants were aware of an increase in tenant health issues. These included stress and anxiety, depression, and suffering from the effects of cold and damp after being unable to heat their homes, particularly during the wait for the first payment. The announcement of the recent one-week reduction in the waiting time for first payment was positive, but the waiting time for claimants is still significant. You can download the report here and an infographic of statistics here. On 1st October 2017, the Secretary of State for Communities and Local Government, announced proposals to address the imbalance of power in the private rented market by regulating letting and managing agents. A call for evidence sought views on a new regulatory model and how best to protect and empower tenants and leaseholders. The Northern Housing Consortium has responded to the Call for Evidence and you can read the response in full here. The NHC has welcomed an approach to a more professional managing agent market and believe that, if framed correctly, there are benefits for property management agents as well as for tenants and leaseholders. We believe that regulation creates a level playing field, and will help responsible agents to not be undermined by a minority of agents with poor practice and will help improve the reputation of all. The Government will bring forward detailed proposals early next year, following analysis of the evidence submitted.